One beef that a lot of BMW enthusiasts have had with the brand recently was the fact that no Individual colors were offered on the M2. In fact, the BMW M2 wasn’t eligible for the Individual Program at all. Naturally, fans are hoping that changes with the newly-debuted M2 Competition. From what we’re hearing, it still won’t happen but BMW might be offering a couple of special edition models with Frozen paint colors. Some order sheets have recently been leaked of two different BMW M2 Competition models with different Individual Frozen paint. One got a Frozen Sunset Orange color and the other a Frozen Dark Grey. Both colors are said to come with Jet Black-painted roofs, which, personally, I think looks better than a carbon fiber roof. Both of which sound awesome and they would be a welcome addition to the M2’s lineup. Unfortunately, they’re likely going to be either special editions, one-offs or maybe even some VIP customer cars. 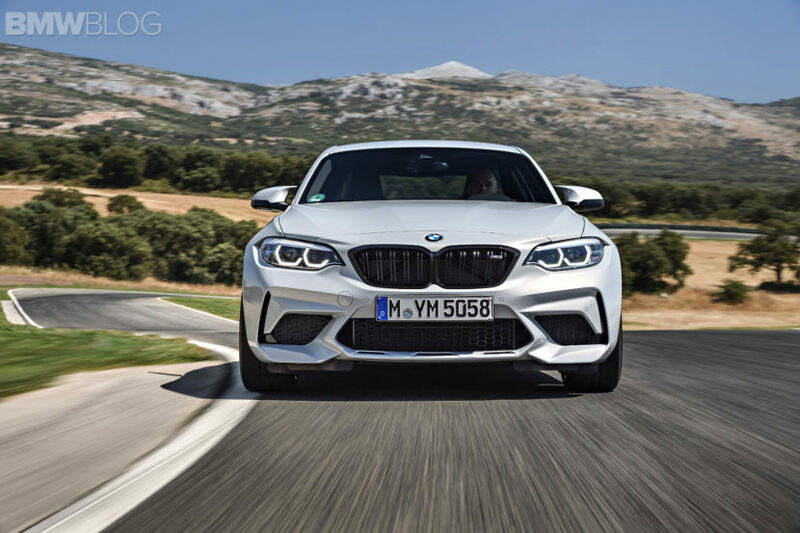 While we don’t know for sure, we have a lot of sources at BMW and always keep our ears to the ground and we haven’t heard of any Individual Program options being available for the M2 Competition. Of course, that doesn’t mean it’s impossible but not likely. It probably makes some sort of financial sense to not offer the Individual Program to M2 customers but it just makes sense for the car itself. It’s such a special car for enthusiasts, as it’s the car that reminds us all of BMWs of old, that it would make sense to allow enthusiasts to individualize (pun not intended) their car and make it a bit special. Especially with awesome paint colors like Frozen Dark Grey, which sounds menacing and would likely look awesome on the very angry-looking M2 Competition. We’ll have to just wait and see but we don’t think these will be offered as part of a customer program.